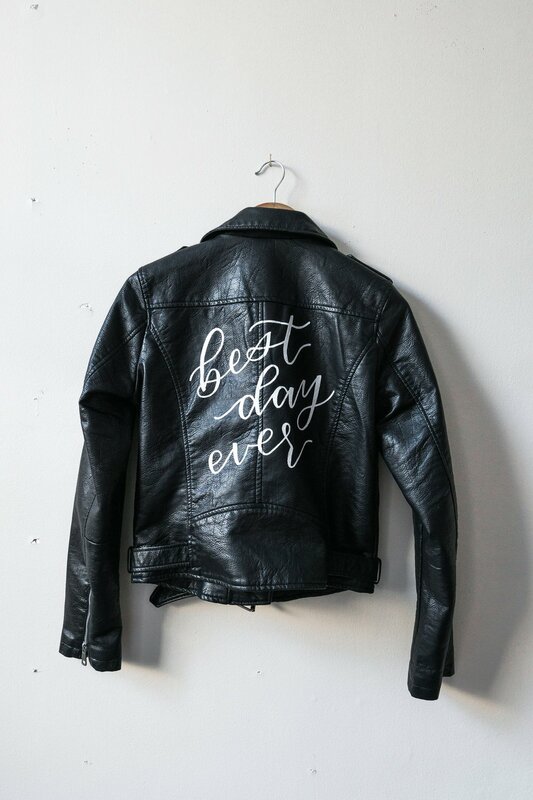 Jackets — Wink Ink Design Co.
badass on your wedding day? Of course you do! But if you're on a tight budget, it can be tricky to incorporate all of your visions. 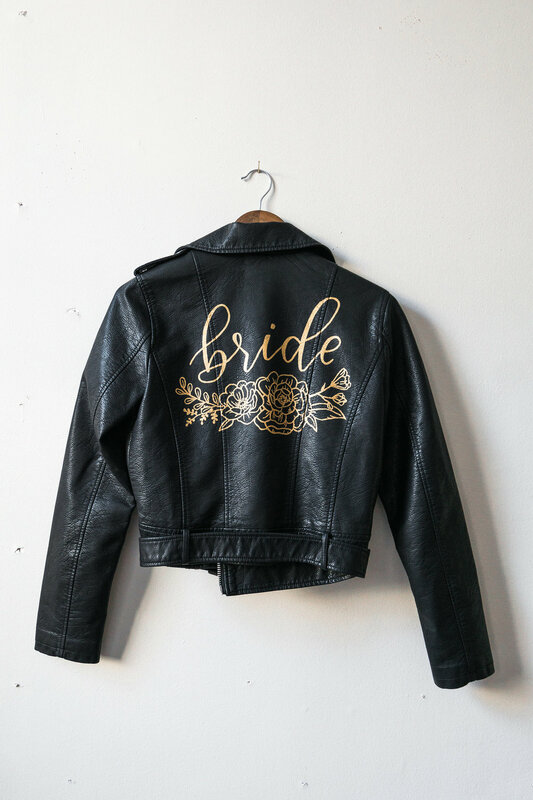 Luckily, I have created a rental collection of hand painted jackets, designed with you, the trendy modern bride in mind. Whether you love vintage fringe, or have more of a classic and minimal style, I'm pretty darn sure that you'll find something you love. If not, I'd love to custom paint one for you!